The guys from Komb! got in touch and asked me for a Kombucha brand that doesn't look hippie. They wanted something really pop to make a statement in the Kombucha market. So I went big. Inspired in comic books, Komb! 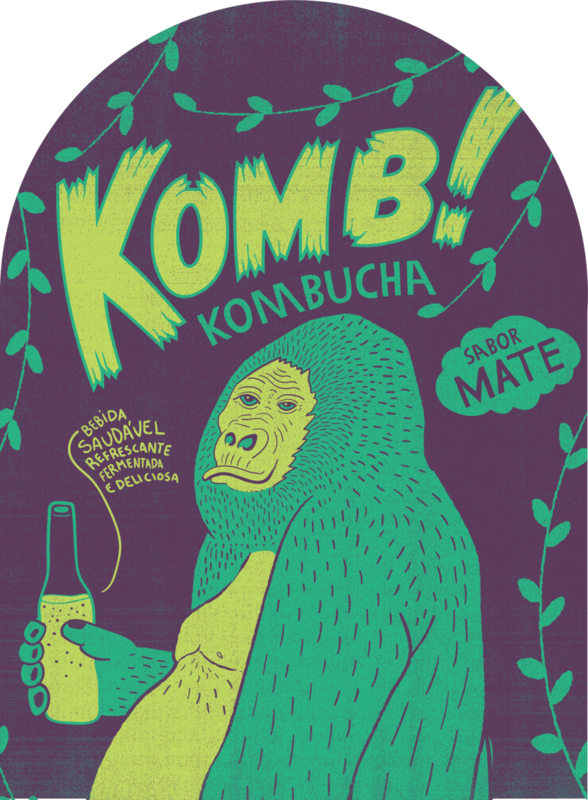 is this unbeatable and peaceful Gorilla who loves his Kombucha! B/W t-shirt for the workers! Here's our peaceful gorilla tasting his favorite kombucha. The idea is to have him in different actions depending on the flavour. Cheers!